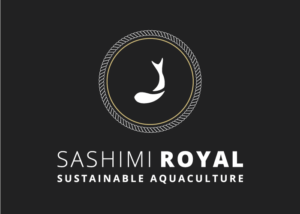 Sashimi Royal is a Danish aquaculture company with solid investors and grant support from the Danish government. We are currently building the World´s largest onshore grow-out facility for Yellowtail Kingfish in Hanstholm, Denmark. The facility is vertically integrated with the fish fry facility Maximus. Both facilities are owned in a joint venture between Sustain Seafood Invest, Denmark and Nordic Aquafarms, Norway. We are seeking a highly motivated and experienced site manager for our fish farm Sashimi Royal, Denmark that will be producing 1200 tons of Yellowtail per year from 2017. The position involves overall management and P&L responsibility for operations at the farm. The position reports to the group CEO. The position involves hands-on management in operations, development of team performance and most importantly care for our fish. Candidates must have a minimum of 5-6 years documented management experience in fish farming, preferably with larger scale RAS production. A formal academic background is required in a directly relevant field. In addition to practical operations experience, we emphasize leadership-, basic financial- and administration skills. Candidates must be proficient in both oral and written English at a professional level. Exceptions can be made depending on overall candidate experience. We are seeking a candidate that is highly structured, who is a proficient problem solver and who is committed to quality. Candidates must demonstrate a high level of integrity and professionalism. Work location is Hanstholm, Denmark. The region offers reasonable housing costs and a beautiful coastline. We offer competitive compensation schemes and the opportunity to be a part of a larger Nordic operation with expansion plans. Start date is February/March 2017. Application deadline is October 15, 2016. Applications with a CV may be submitted to post@nordicaquafarms.com. Commercial Director Erik Rasmussen at phone +45 30 37 58 93 or chairman Erik Heim at phone +47 900 74 907 may be contacted with any questions. Also visit our website at www.sashimiroyal.com for more information. We are seeking experienced production staff to join our team in Sashimi Royal in Denmark. The production team will be involved in a range of activities related to the daily operation of our facility and maintenance of fish welfare for our Yellowtail kIngfish species. Experience from RAS facilities is an advantage, but we will consider candidates with practical experience from various aquaculture backgrounds. Documented experience from the aquaculture industry is a requirement. Academic background from aquaculture or marine biology is beneficial, but not an absolute requirement. In Sashimi Royal we focus on building good teams and delivering results. Candidates must be structured, attentive, dependable and good communicators. The work location is Hanstholm, Denmark. The region offers reasonable housing costs and a beautiful coastline. Start date is early 2017. The application dead-line is October 15, 2016.